"When Marilyn Tam gives you a ′Happiness Choice,′ be ready to benefit from her practical and wise instructions. Marilyn has always inspired me with her sparkling personality and positive outlook on life and with her desire to help others live more fully and joyously." "It is easy to be busy; it is much harder to be happy. This is especially true for today′s professional woman who also wants to be a great wife, mother, daughter, and friend. In The Happiness Choice, Marilyn Tam teaches us how to make conscious, wise choices that lead to greater happiness and fulfillment. It is the first step in taking control of your life." "Marilyn is right! I came back from the depths of lack and despair and have arrived in a place in my life where I am happier and far more successful than I′ve ever been, living and doing what I love. Your decisions create your reality, your thoughts become things, and this book can be your ticket to change." MIKE DOOLEY, New York Times bestselling author, speaker, and creator of "Notes from the Universe"
"Yes, you can choose happiness! Marilyn had many reasons to be unhappy, but instead she found lasting happiness, peace, love, and success. In this inspiring and engaging book, she shares her and other experts′ stories and insights on how you too can be happy. The heartfelt and uplifting stories will encourage you to find and follow your life purpose; happiness will be with you in every step. 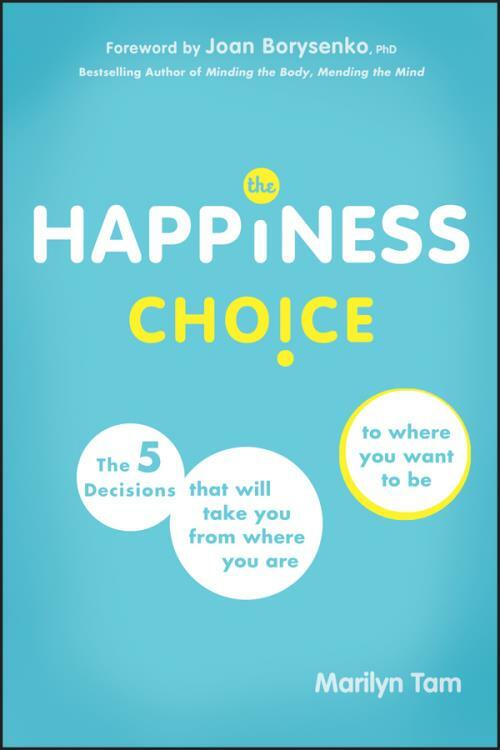 Choose this book for your happiness!" "The Happiness Choice is a wake–up call that life is not happening to you but rather for you. Marilyn offers powerful reminders that we don′t always get to choose what life throws our way, but we always get to choose how we will respond. A great beacon that shows we do get to write our own obituaries. What will yours say? I am looking forward to presenting this book to those I care about the most." MARILYN TAM is an author, speaker, and consultant, working globally with Fortune 500 companies, governments, and nonprofit organizations. She has been the CEO of Aveda Corp, president of Reebok Apparel and Retail Group, and vice president of Nike, Inc. Marilyn is also the cofounder and Executive Director of the Us Foundation, one of the partners for the United Nations′ Habitat II, nominated as a candidate for the "Best Practice Award." Marilyn is a Director on the national board of SCORE Association, a resource partner of the U.S. Small Business Administration.